Do you want to have an amphibious vehicle of your own, and play it on the Grass or on the off-road? 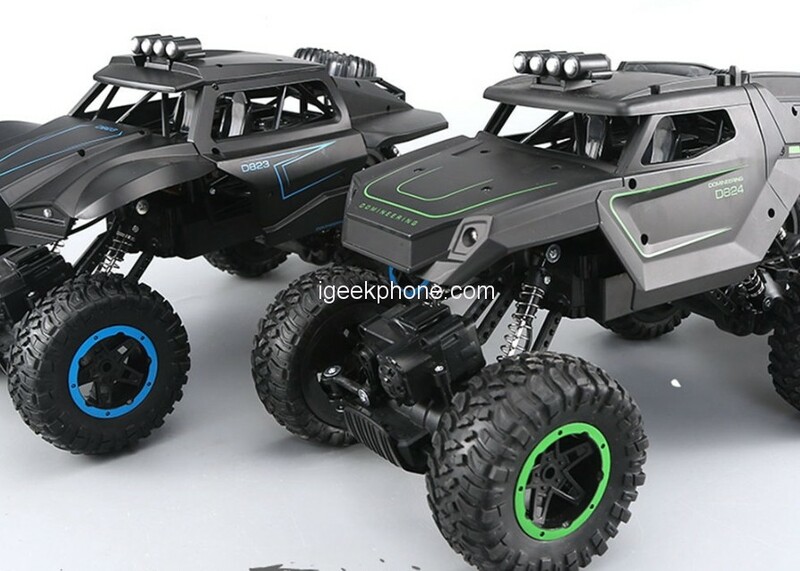 This JJRC Q51 MAX 1:12 6WD RC Car can totally meet the need of you. High quality enables the high performance of it, it can realize forward, backward, turn left, turn right and 360° rotation all these functions. It really worth for you to own. The JJRC Q51 MAX body shell is made of strong Plastic/ Metal/ Electronic material which is anti-crashed and could protect the inside electric equipment very well. 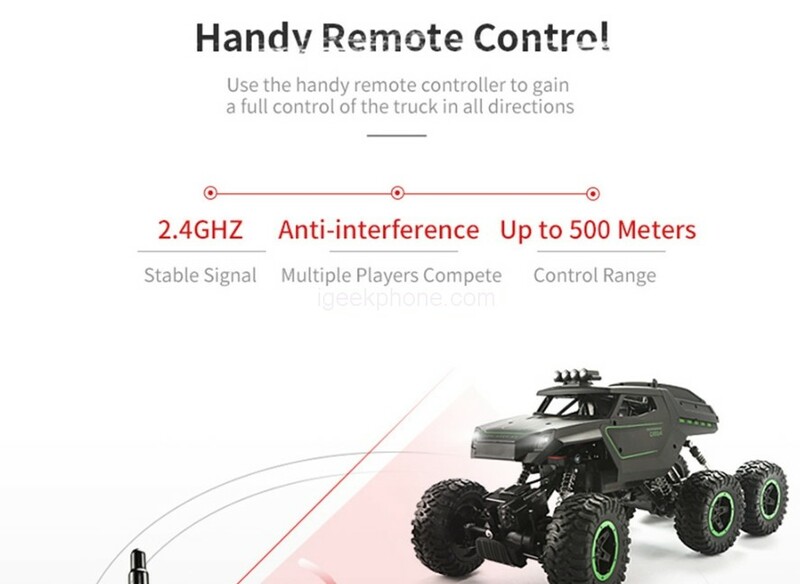 JJRC Q51 MAX RC car has the simple and aesthetic design of the transmitter it is possible to quickly and easily access all the functions of the vehicle. This provides convenient and precise guidance for increased driving pleasure. The color of the transmitter has been selected to emphasize its sporty character and offered vehicle speed. Four-wheel drive system: Superior traction, weight distribution, off-road capability. Front bright LED headlights serve to dispel the darkness at night. The overhead light bracket is good for DIY experience. it has also less weight of 1.56kg with the size of 38.5 X 19 X 18.5cm. It is featured a six-wheel-drive system to supply strong power for the truck to craw over all terrain. The stretchable shock absorber resists to vibration while driving on bumpy roads, proving better protection for the truck. It is equipped with the magnetic brushless motor, helping strong power supply and output and stable driving performance. It adopts the fine-tuning switch to adjust or trim the driving direction of the truck until it drives in the straight line. Fast or slow, you could drive the RC truck at your desired speed. This JJRC Q51 MAX RC car features a full proportion 1/12 scale high-speed off-road car, equipped with a 2.4GHz radio system ready to race, six-wheel drive system and shock absorption and collision avoidance design, and independent metal differential, which can steadily move forward and backward, turn left and right.